Take a look at the photos above. 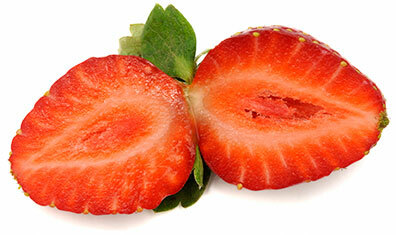 The first photo shows a strawberry that is commonly sliced in half lengthwise. The second photo shows a strawberry sliced in half crosswise, separating the strawberry's top (stem-cap) and bottom portion. But think again. That's where the trick lies! After doing this, you may have noticed that there's a difference with the strawberry sliced in “half crosswise”. 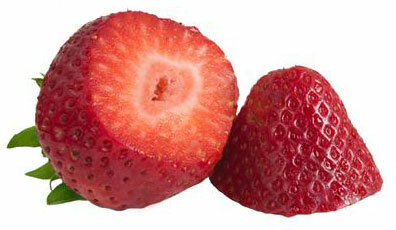 Can you tell which among the strawberry's top part (stem side) and the bottom part is sweeter? Yes, the bottom part of the strawberry tastes sweeter than the top part. Indeed, the top stem portion of the fruit both has sweet and sour taste, isn't it?